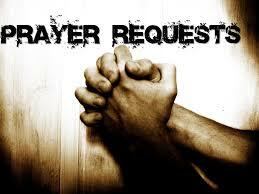 As of today I have included a new page on my website where everyone is free to place prayer request. As Christians it is important to pray for each other and with each other. Never feel that you are alone, because we can strengthen each other by praying togeter. So feel free to place your request in a comment below, or if you want to have privacy, then please sent me a private request. God bless you! My daughter needs Christ so badly. Her heart is cold from years of trauma. Prayers please and God bless! Your blog is kind. Dear Bonsai, God bless you and your daughter. I will include your daughter in my prayers. I know that God has already heard your prayer and that He is working actively in her life to bring her to faith! Thank you. I am desperate for her peace. You are more than welcome. I know that God will really work in her life and has already destroyed all plans of the devil over life. God has already blessed her and will turn everything around in her life. I also pray for your peace!